AEOLUS | Rehvid kõikidele veoautodele! Aeolus is a global brand and one of the largest and best-known tire manufacturers in China. Aeolus tire factory was founded in 1965. Aeolus manufactures tires for trucks, truck trailers, buses, port machinery, cranes and dumper trucks to big careers. Aeolus importer and seller of Estonia is Baltyre Eesti AS. Baltyre Eesti AS offers a wide variety of products: Matador tyres for lorries and cars, Pronar and Raju agricultural wheels, Firestone, Mitas, Seha, Continental, Bridgestone, Cultor, Nokian, Dayton, Vredestein, Tianli, BKT, Altura, TyRex, Kama, Aeolus, Dneproshina, Voltyre, Belshina, Alliance, Trelleborg, Pirelli, etc. tyres. Today we are one of the biggest importers offering tyres for all machines – for cars and lorries, vans and buses, tractors and industrial machines, hoisting machines and forwarders, motorcycles, mopeds, etc. We are especially proud of the great in-stock balance of agricultural tyres, which makes us the biggest seller of agricultural tyres in the Estonian market. 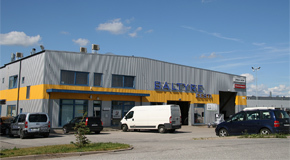 Long-term experience and great cooperation with other tyre companies under the brand name of Baltyre in Slovakia, in the Czech Republic, Russia and Latvia make it possible to optimise our deliveries from various manufacturers to end consumers; we are therefore always able to offer favourable prices and delivery terms to our returning customers.